The best tips and tricks for picking the perfect rug for every room! I recently bought a new rug for our mudroom and I LOVE it! 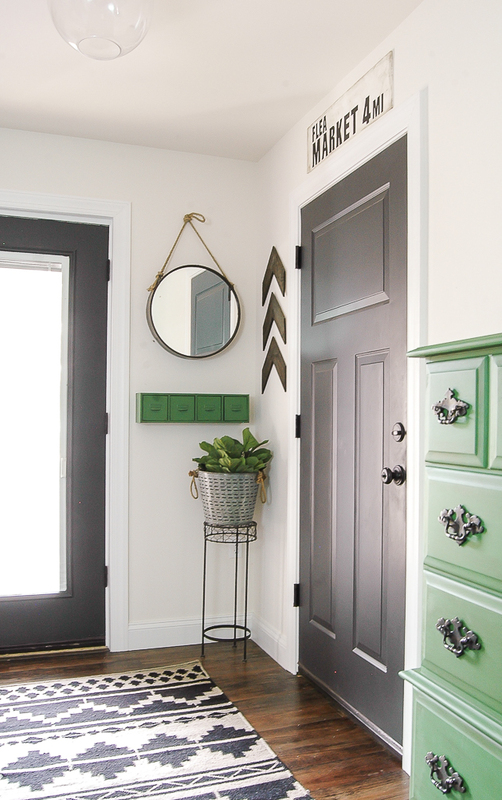 It's bold, has lots of contrast and is the perfect statement piece for our mudroom. 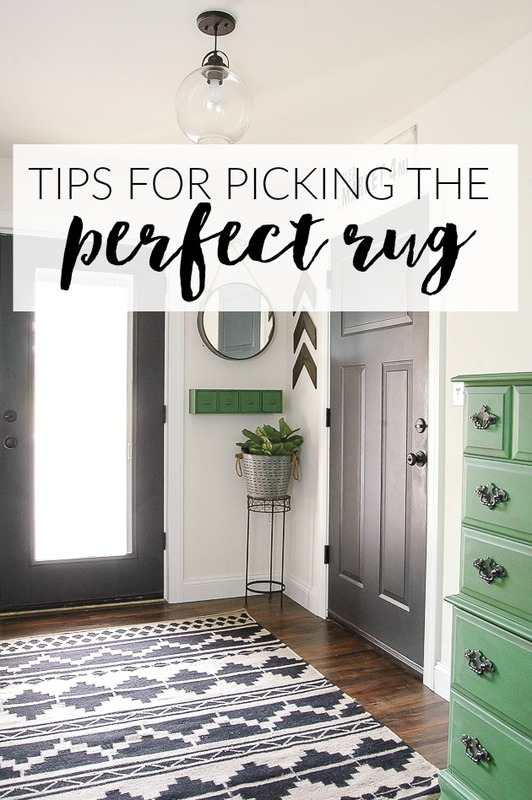 Choosing the perfect rug isn't always easy and there's a lot to consider, so I'm breaking down a few of my favorite tips to help you pick the perfect rug for your spaces. From choosing the right size rug to picking the perfect material, I'm sharing all my favorite tips and tricks to make the decision process easier. A rug too large will look more like wall to wall carpeting and may actually make your room look and feel smaller. A rug too small may seem out of place and won't balance your space. LIVING ROOM- the front third of furniture (sofa, chairs, etc.) should sit on top your rug. You do not want your rug floating in the middle of the room. Do you want your rug to make a statement or blend into the background? A solid rug allows you to bring in fun patterns with throw pillows, artwork and curtains. Large patterns allow you to mix in smaller patterns and solids. Lighter colored rugs tend to work with a variety of styles, but may not mask spills and stains as well as darker, patterned rugs. If your furniture is heavy and patterned think about a rug that is lighter and has a small pattern. For dining rooms, a bold, larger patterned rug is a great option to add interest to a heavy wood dining table. 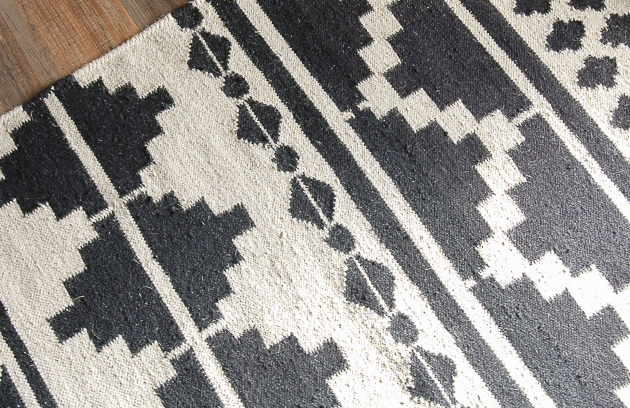 For high traffic areas such as a mudroom, kitchen or hallway I like to choose cotton rugs that have no backing. Not only are they affordable, but they are reversible and easy to clean. Hand woven flat weave wool rugs are also a favorite of mine and great for high traffic areas, but may not clean as well as cotton rugs. For living spaces, I like to choose wool-cut pile or shag rugs that are comfortable and feel great under your feet. They may not be as pet-friendly and easy to clean, so I save them for areas that don't get as much traffic. I hope these tips help you pick the perfect rug size, texture and color for your spaces. 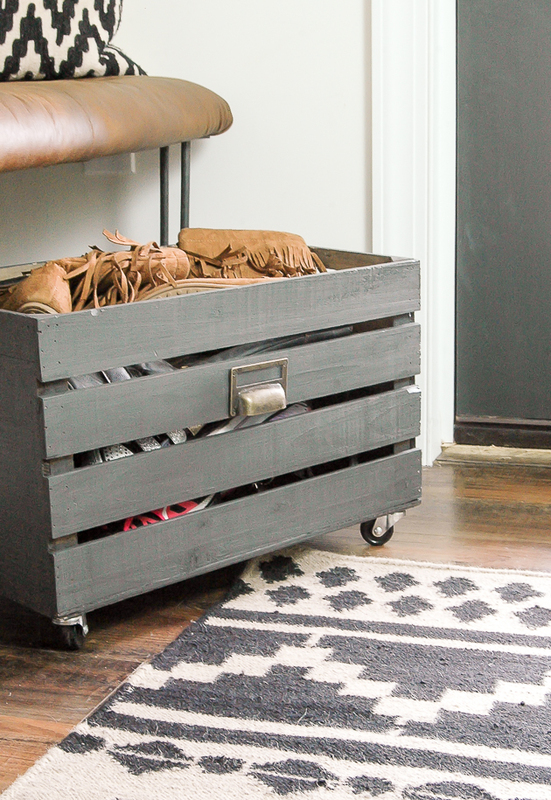 The hand woven feather gray rug I picked for our mudroom is definitely the focal piece of the room and the flat weave makes it particularly durable for this high traffic area. A huge thank you to Plush Rugs for generously providing a rug to finish off our mudroom! As always, all opinions are my own and thank you for supporting brands that allow me to decorate and make our home beautiful. 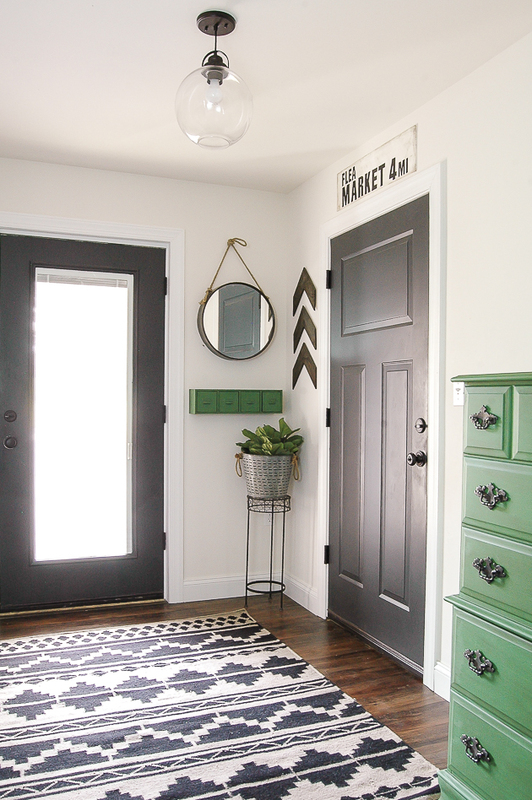 Such a great bright space & I loveeee the green & black paired together especially for spring! 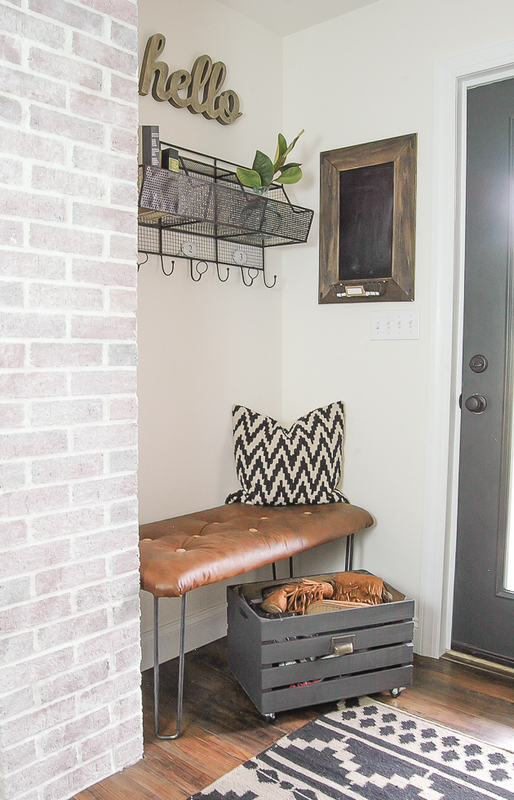 I am in love with your mudroom and that rug! I think allowing yourself the freedom to be flexible when decorating is the key to creating beautiful spaces and clearly you do it well! Thanks for sharing. I love the rug with the green in the chest!